Laurent has send me the below information. 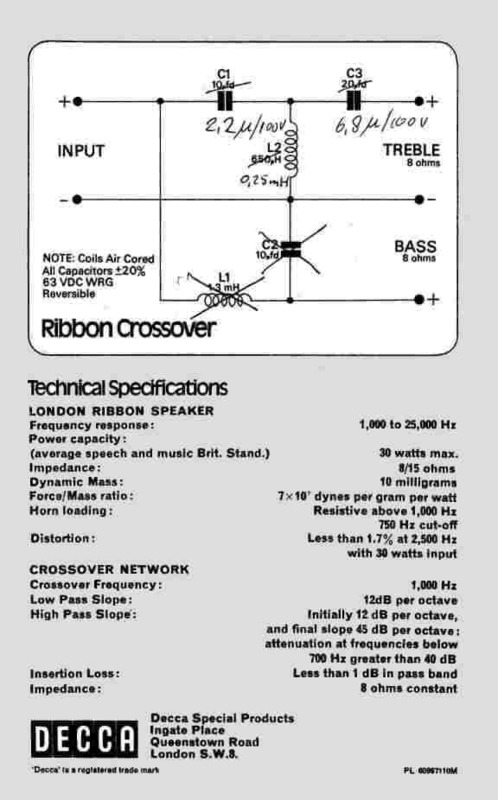 The approx xover f0 = 10 Khz. © PE1MMK Hans Hilberink & Laurent Martin, 28-04-2004.